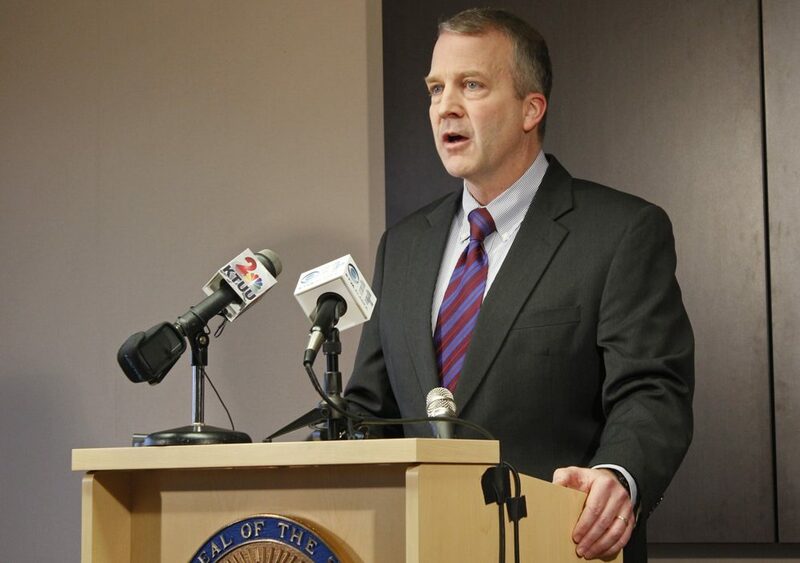 Republican Senator Dan Sullivan spoke on Talk of Alaska Tuesday morning about a broad range of topics, from national news stories in the headlines to regional issues facing the state. Discussing the president’s firing of FBI Director James Comey less than a week ago, Sullivan said nobody disputes the legality of the dismissal. But he said the timing of the firing raises serious questions. But Sullivan stopped short of recommending any new course of action for on-going investigations on Russian involvement in the Trump campaign. Though the call-in show’s topic was the status of the military in Alaska, several callers posed questions about healthcare and Sullivan’s stance on the house version of a replacement bill. On military matters, Sullivan defended his record as a strong advocate for the armed forces in Alaska. He pointed to the reversal in a 2015 decision by the Army to reduce the size of an airborne brigade in Anchorage as well as continued progress bringing two squadrons of new F-35 fighter jets to Eielson Air Force Base during the next few years, and with them hundreds of millions of dollars in new federal construction dollars. The Senator also fielded questions on specific regional issues, including recent executive orders lifting environmental protections in the waters off Alaska’s coast. One caller from Fairbanks asked Sullivan whether he supports the decision to allow the Pebble Mine Project in the Bristol Bay Region to be allowed to move forward. Here’s the full episode of Talk of Alaska featuring Senator Sullivan.